The ancient group x0 hides in the shadows until a young Nigerian beauty forces them to emerge. Thinking that her telepathic abilities are perfectly normal, this Igbo woman draws upon her powers to seek an ally to rescue her captive sister. Unfortunately, the telepath she finds is cranky Texan lady who doesn't believe in nonsense and who insists that the disturbing phenomenon in her own mind isn't there. This is a book I'll never forget. 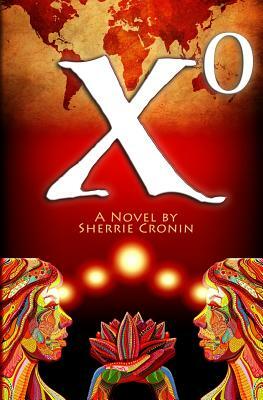 It educated me at the same time that it moved me deeply… Cronin's expansive international plot line is full of fascinating characters … The telepathy and the international organization x0 that exists to help telepaths is so realistic that I googled x0 just to see if I could join. A gripping tale of despair, hope and an unlikely friendship that is forged through transmitted thoughts sent thousands of miles away and bound though faith. It mixes real life facts with fictional characters bringing them to life. A most enjoyable read. You won't want to put it down. Great book club book. Just reviewed it with my book club and everyone gave it a big thumbs up! This book is really creative and unusual. The voice is good, the characters are interesting, and so is the plot… Oh, and … if you … are a telepath, you'll especially love this. I won't explain that. You'll understand if it applies.